Based on reviews from 2,028 users. 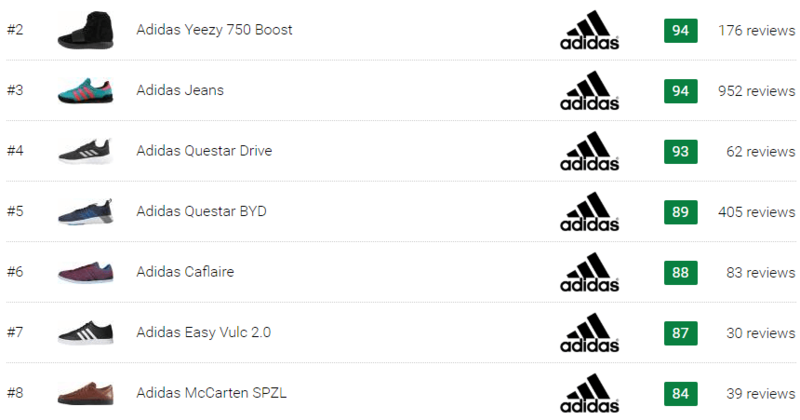 Learn how our rankings work or see our guide to Adidas casual sneakers. Updated Apr 2019. The origins of sneakers can be traced back to decades ago as performance sports shoes. But as time advances, so are sports and fashion trends and sneakers as a product managed to go with the flow and adapt into what its market across different generations demanded. Sneakers are so extensive that they can be categorized into lots of classifications, including their design inspiration. Considering the heritage and long history of sneakers, most of their design inspiration was taken from different sports such as basketball, running, football, training, hiking, and skate. But since they have also reached popularity in the fashion scene, a new form of design inspiration emerged and called casual sneakers. Casual sneakers can easily be defined as the type of sneakers designed primarily for casual or lifestyle use. Unlike performance-based sneakers, they are more focused on the design or style that creates a visually-pleasing aesthetic suited for fashion trends and day-to-day use. Adidas, like other footwear brands namely Nike, Reebok, Asics, Puma, New Balance, and Jordan, contributes to the influx of casual sneakers in today's footwear industry. Discussed below are some information about Adidas casual sneakers. Like in the original version, the upper is constructed with suede material. These recent Adidas casual shoes, however, utilize better quality premium suede. The regular rubber sole unit is upgraded into a gum material for improved durability and flexibility. Featured on the insides of these Adidas casual shoes are leather linings. Added protection is ensured through a toe bumper and heel stabilizer. Adidas Jeans Super. The Adidas Jeans Super belongs to the lineup of Adidas casual shoes for men. Another modern version of the ‘80s classic, it features an upgraded design with a slimmer silhouette but manages to stay true to the then-favorite football kick's heritage. One major difference of this Super rendition from the core Jeans model is the Adidas window logo visible on the lateral side, just below the eyelets. Adidas Jeans City Series. In 2017, Adidas released another rendition of the Adidas Jeans casual sneakers through the Adidas Jeans City Series. The debut included two fresh colorways that commemorate the cities of Valencia in Spain and Bern in Switzerland. Each colorway features a premium upper with suede detail all throughout, a lace-up closure, padded collar and tongue, gum rubber outsole, and foam leather linings. The Adidas Topanga first released in 2014 as the relaunched version of the popular ‘70s Adidas shoe, the Adidas California. Its 2014 debut was part of the Adidas Originals’ Spezial or SPZL Collection. It has been renamed since then as the Adidas Topanga due to trademark issues. The classic Three Stripes branding on the sides were replaced with perforated branding for a clean minimal aesthetic. The upper material varies and can either be made of rich suede or leather depending on the colorway. The gold foil brandings add to the premium and retro look of these Adidas casual sneakers. On the tongue and heel are contrasting color accent in either suede or leather. These Adidas casual shoes are exclusively released for men. The uppers of these low-top Adidas sneakers are made of a single-piece, boot-like knit material for a lightweight and breathable fit. A suede reinforcement is placed on the heel for added support and protection. Also featured are cushioned Ortholite insoles that are removable and a vulcanized rubber outsole. The Adidas Twinstrike ADV joins the group of low-top Adidas casual shoes for men. It made its debut in September 2017 as part of the Adidas Consortium A//D Parallel Dimension pack alongside the adiStar Comp silhouette. The running-inspired silhouette of the Twinstrike ADV boasts a chunky appearance and features a ClimaCool mesh upper with premium suede and leather accent in the form of straps, rope laces and skeletal grid-like caging, and a padded tongue. These Adidas casual sneakers are available in men’s sizing like their predecessors. Released in early 2018 as a premium upgrade to the Twinstrike ADV shoe, these casual Adidas shoes feature a top-notch quality stretchable leather upper with suede paneling overlays. 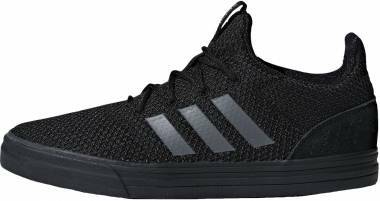 These low-top Three Stripes also feature rope laces in a lace up fastening closure for a snug fit, removable cushioned insoles, and a heel pull tab for easy on/off wearing. Included in the Adidas Sports Inspired shoe collection (also known as the Adidas Neo) is the Adidas Caflaire sneakers. Relatively a new Three Stripes model, the Adidas Caflaire casual sneakers, flaunts a modernized and laidback aesthetic fit for everyday functions. Its upper is made of leather and suede, giving off a timeless appeal to the sports-inspired profile of the low-top. Also, a part of Adidas casual shoes is the Adidas Questar BYD. Like most casual Adidas sneakers for men, this relatively new model displays a low-top construction with a minimal, sporty, and easy-to-wear aesthetic. The upper is comprised of breathable and flexible mesh material accented with embroidered detailing and synthetic overlays in the form of Three Stripes branding to the lateral sides. On the rear part is a heel pull/loop tab. The Adidas Questar BYD casual sneakers are also available in women's sizing. One addition to the list of Adidas Casual sneakers in women’s sizing is the Adidas Cloudfoam Pure. It is crafted with a breathable and lightweight mesh upper with a gusseted tongue, lace-up closure, and a Cloudfoam midsole and outsole. It also features pull tabs on both the heel and tongue for ease of wearing. Adidas is not a newcomer in sneaker collaboration game. Countless Three Stripes classics have joined the roster of collaborative releases and became subjects of partnerships with sneaker retailer shops, celebrities, and designers. Typically, these shoes are taken from the classic silhouettes, then the collab partners put their own spin (like the design and material upgrades) into the shoes. For Adidas casual sneakers, collaborative projects are not limited to that. The Three Stripes partnered with high fashion designers and celebrities for a collection of casual Adidas shoes. Below are some examples of these collaborations. The Y-3 offers collections comprising of unique, old-meets-new kind of apparel and footwear that reinterprets classic designs with Yohji Yamamoto’s signature contemporary touch. Adidas’ collaboration with high fashion designer Yohji Yamamoto started in October 2002. It was named officially as Y-3, in which the “Y” represents the designer’s name; the “3” stands for the Three Stripes, and the "dash" in between symbolizes the bond between the two parties. 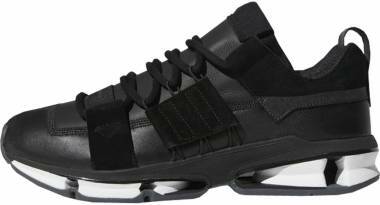 Most Y-3 sneakers are unisex models that are made in men’s sizing. Examples include the following: Y-3 Kaiwa, Y-3 Kusari II, Y-3 Bynder Super, Y-3 Super Knot, Y-3 Tangutsu, and more. These Adidas casual shoes are expensive. Prices range from $200 to over $300 a pair. Like typical sneakers, profile or cut of these Adidas casual shoes varies. 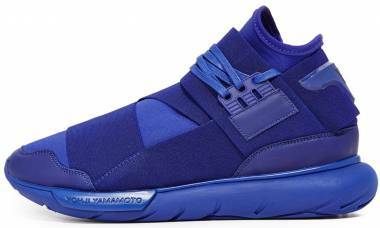 Low-top Adidas casual sneakers under this collaboration include Adidas Y-3 Kyujo Low and Adidas Y-3 Yohji Run among others. 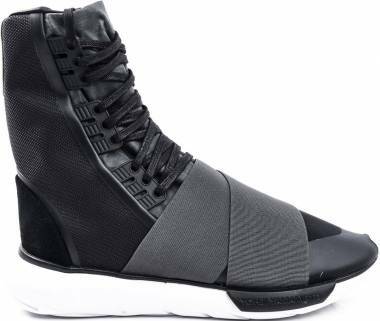 High-top models, on the other hand, include the Adidas Y-3 Qasa Boot and Adidas Y-3 Qasa High. Who is Yohji Yamamoto? Yohji Yamamoto is a Japanese high fashion designer known for his avant-garde tailoring. Based in Tokyo and Paris, he is the creative mind behind the labels Yohji Yamamoto and Y’s. The partnership between rapper and footwear designer Kanye West and Adidas commenced in 2013 after the former ended his five-year collaboration with Nike. 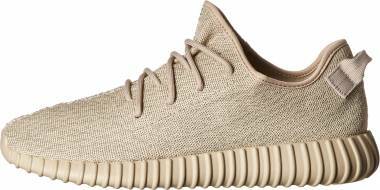 Unlike with Nike, Adidas allows Kanye the artistic freedom to design shoes and apparel for the Adidas Yeezy line. Kanye also receives royalties from the sales of these products. 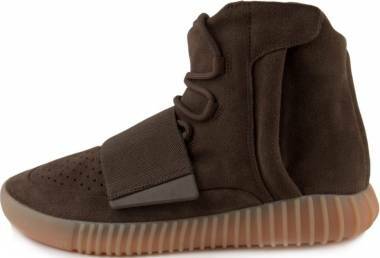 The first of the many Adidas casual shoes in the Adidas Yeezy line is the Adidas Yeezy 750 Boost, a high-top suede sneaker with a zipper-type closure on the lateral side and a Boost sole unit. It made a debut in February 2015 and released in a limited quantity of 9,000 pairs. It made history as it sold out immediately, just in 10 minutes. Who is Kanye West? Kanye West, also known as Ye, is an American rap superstar, songwriter, entrepreneur, record label producer, and fashion designer. His sneaker collaboration history includes A Bathing Ape, Nike, APC, Reebok, Air Jordan, and Louis Vuitton. The Adidas Spezial, otherwise known as SPZL, is a capsule collection of footwear including Adidas casual shoes for men and Adidas women’s casual shoes. The first collection released in 2014, which included four shoe models, namely Topanga SPZL, Hand-burg SPZL, Boston Super SPZL, and Touring SPZL. Several more SPZL models released in the next years. Who is Gary Aspden? Gary Aspden is a well-known brand consultant and specialist. 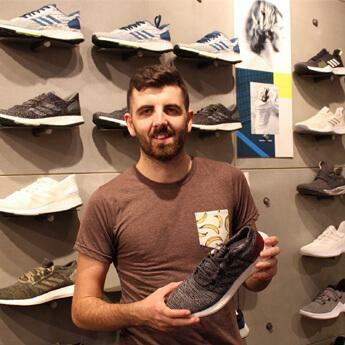 He worked at Adidas UK for over nine years before forming his own consultancy firm. He currently designs and curates the Adidas SPZL line. 1. Where can I buy a pair of Adidas lifestyle sneakers? Adidas casual sneakers are easily obtainable from any Adidas flagship store and partner retailers, Adidas’ official website, sneaker boutiques, and online retail shops. Collaborative Adidas casual shoes, on the other hand, can also be found in the partner brand or retailer’s shop. Alternatively, RunRepeat is here to help you find a particular sneaker model in your preferred colorway and size. Each of our published sneaker pages show the list of retailers (including comparative prices) that offers the particular sneaker you are eyeing. 2. How do I clean my casual Adidas sneakers? Avoid using bleach or any other harsh cleaning agents to maintain the quality of your casual Adidas shoes. Use a soft cloth dampened with mild soap and water when cleaning leather Adidas casual sneakers. Same goes with those made of canvas and nylon. Casual Adidas shoes made of suede or nubuck should be cleaned using a soft brush and special cleaning material like suede cleaner. Use mild soap for those made of synthetic leather. Only air dry the shoe after cleaning. 3. What are the best looks for Adidas casual shoes? One thing to look into is the colorway. Although Adidas casual shoes are generally minimal-looking, some models offer colorways that can be difficult to pair with any casual ensemble. Sneakers with muted colors and basic ones, such as black, white, red, and blue sneakers, are easier to wear. The cut or profile of a sneaker is also a factor. Generally, low-top Adidas sneakers are easier to style than those with a mid-top or a high-top profile. 4. How do Adidas casual shoes generally fit for men and women? Generally, Adidas casual shoes fit true to size in length and width, but this still depends on the model as a shoe's material and construction are factors that affect fit and sizing. 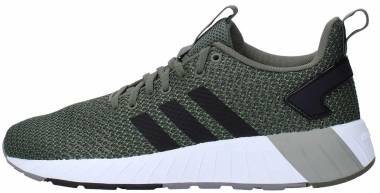 Running-inspired Adidas casual sneakers are typically made of stretchable materials like mesh or knit that allow plenty of foot movement while keeping the feet comfortable and supported. This could be an advantage for wide-footed wearers because of the extra room in the toe box. On the other hand, basketball-inspired or football-inspired casual shoes from Adidas are less flexible but offer more support on foot because of the sufficient reinforcements added throughout the shoe. Depending on the model, some could be narrow-fitting that opting for a half size bigger than usual may be needed for a more comfortable fit. Note however that this is not always the case and it would still vary from one shoe model to another. In addition, slip-on models are mostly narrow fitting because of their overall construction. They can also be challenging to put on, hence the added pull tabs for most sneakers with such construction. Lace-up Adidas casual shoes, on the other hand, offer a customizable fit by adjusting the laces. 5. How much are casual sneakers from Adidas? Like other types of Adidas sneakers, those belonging in the casual category bear varying prices. Regular models are affordable or easy on the budget, with prices ranging from $75 to $110. That is not the case though for collaborative casual Adidas shoes. These shoes are expensive, with prices shooting up to over $400. The Spezial collection is priced at around $130, but the Yeezy kicks are around $200 to $350. 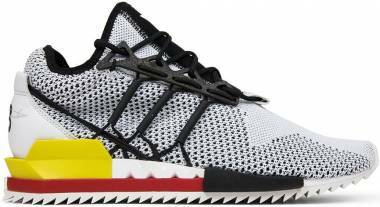 The Y-3 shoes, on the other hand, are one of the most expensive shoes priced at around $385 to $420. 6. Are Adidas casual shoes also available in women’s sizing? Yes. There are Adidas casual sneakers designed exclusively for the ladies like the Adidas Cloudfoam Pure shoe. Most of these shoes, though, are unisex models in men’s sizing. In such cases, women are advised to get 1.5 to 2 sizes down their normal sizes as an approximate equivalent to get an accurate fit. 7. 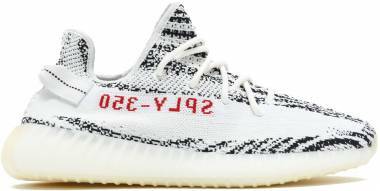 What colors are available for this category of Three Stripes shoes? Casual shoes from Adidas are not restricted in terms of available colors. Depending on the shoe model, the category generally offers a wide array of colorways for both the ladies and the gents. Most are released in minimal design with a combination of two to three muted colors like white, black, blue, red, green, brown, and gray for an easy-to-wear aesthetic. Some models also release printed and color-blocking colorways. 8. What are some of the most common sneaker technologies used in Adidas casual shoes? 9. What materials are typically used in designing and producing Adidas lifestyle sneakers? Lifestyle-based Adidas shoes are usually made of leather, nubuck, suede, canvas, or knitted upper materials. The sole units vary as well, which can be of regular rubber sole or a more durable and flexible gum type. Laces are normally made of cotton. 10. Why are Adidas lifestyle shoes so popular? Several factors contribute to the popularity of casual Adidas shoes. For one, Adidas shoes, in general, are known for their superior quality and durability that lasts years. They are also made with excellent design and colors that primarily attract consumers. Adidas casual sneakers are also top-notch in the comfort department.